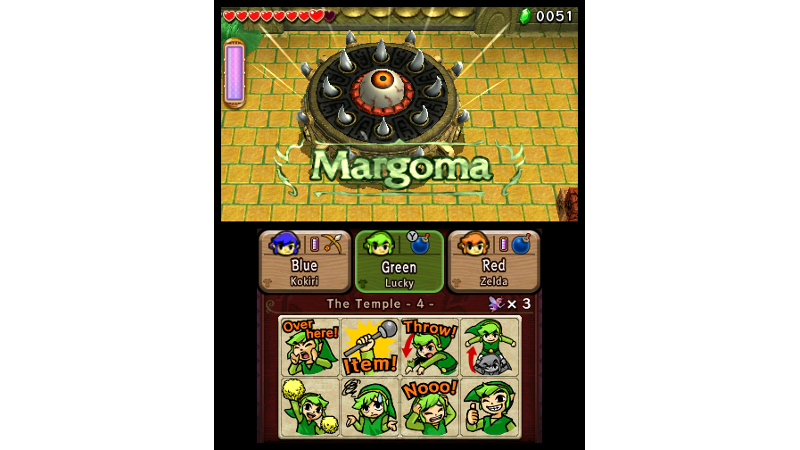 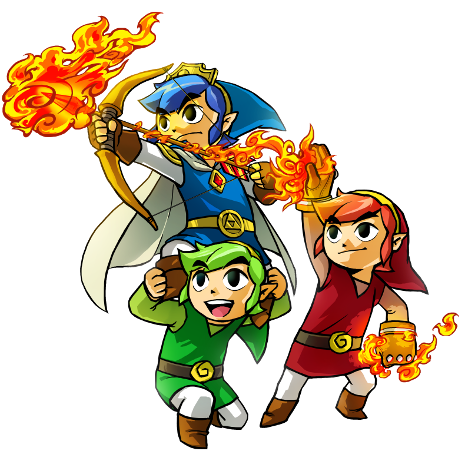 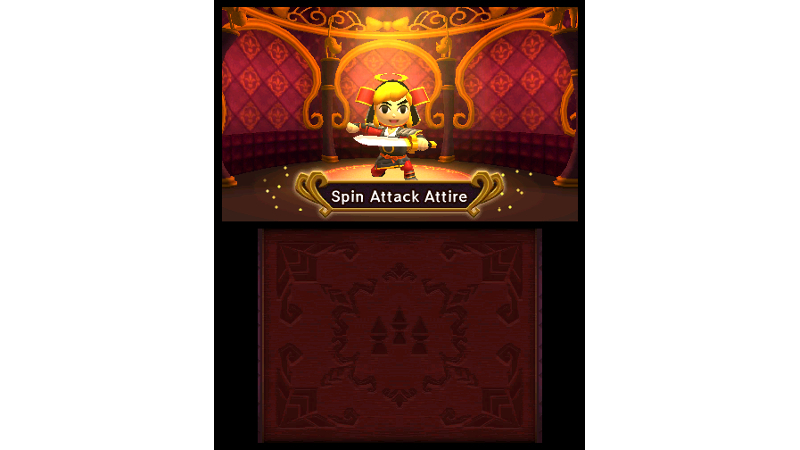 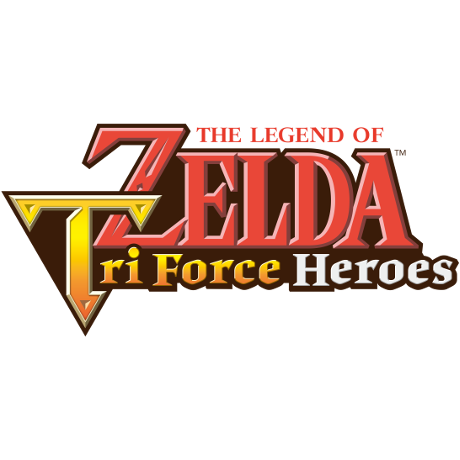 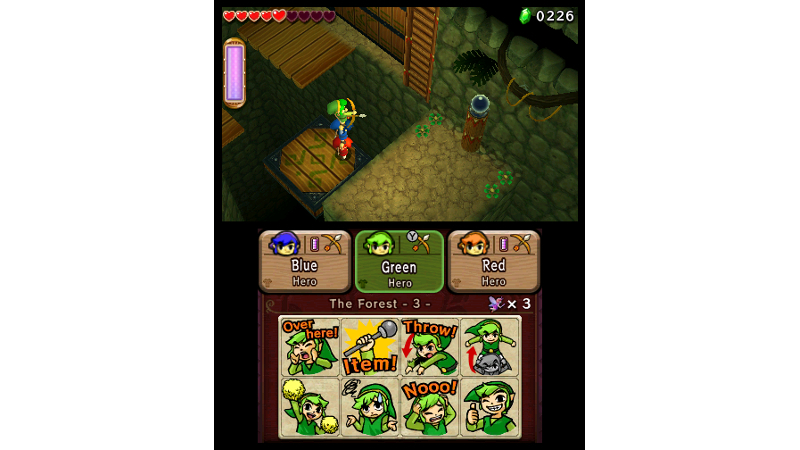 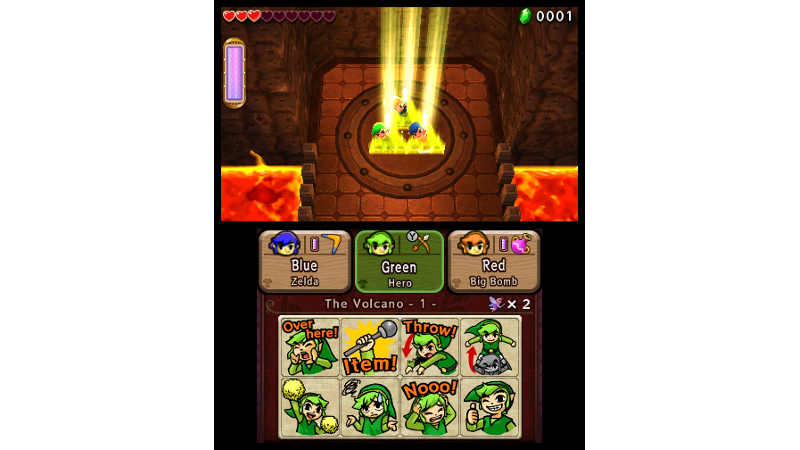 In The Legend of Zelda: Tri Force Heroes, three Links have to work together in co-operative multiplayer to find their way through various levels filled with traps and puzzles. 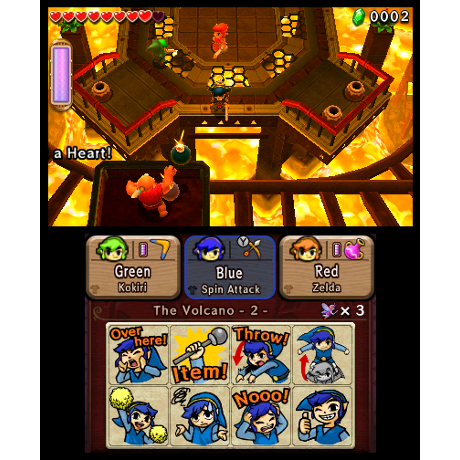 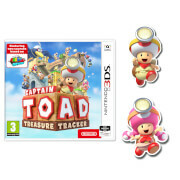 All three players share hearts, so they must work together to defeat enemies and solve puzzles! 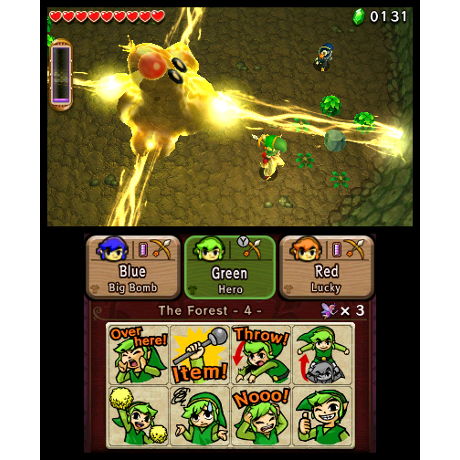 In this journey, three players team up – each as Link – to cooperatively make their way through inventive dungeons and battle bosses. 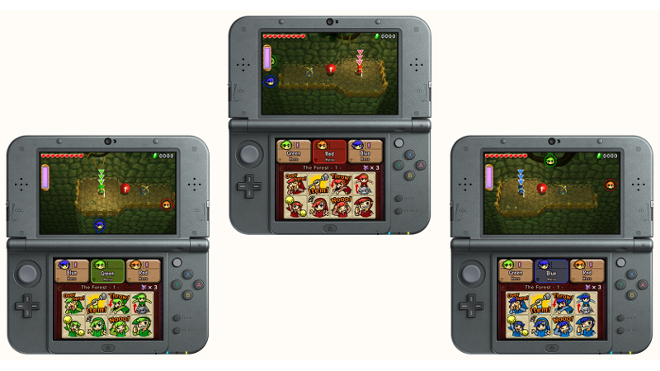 Use the new Totem mechanic to stack three Links on top of each other to reach higher grounds and solve puzzles. 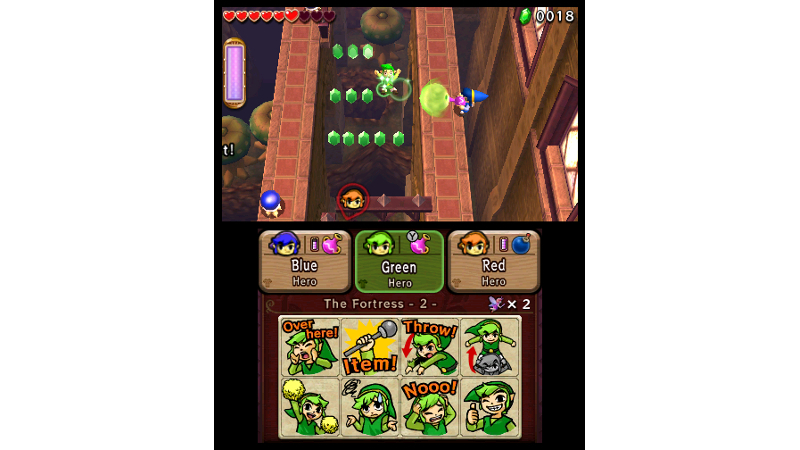 Team up with two other players in multiplayer mode via local wireless connection, online* and with Download Play**. Choose from a set of emoticons to communicate with each other while playing in the three-player multiplayer mode. 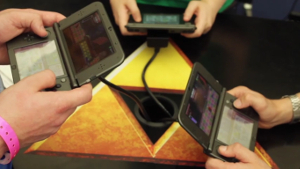 *Wireless internet access required. 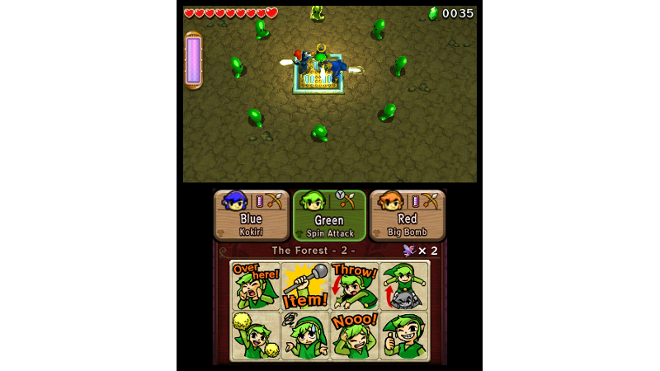 Acceptance of the network related terms and privacy policies required. 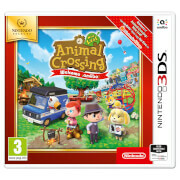 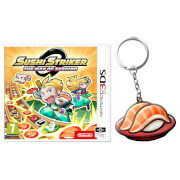 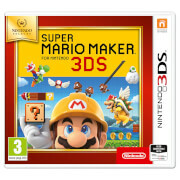 **Please note: Download Play requires each player to have a Nintendo 3DS, Nintendo 3DS XL or Nintendo 2DS system, sold separately. 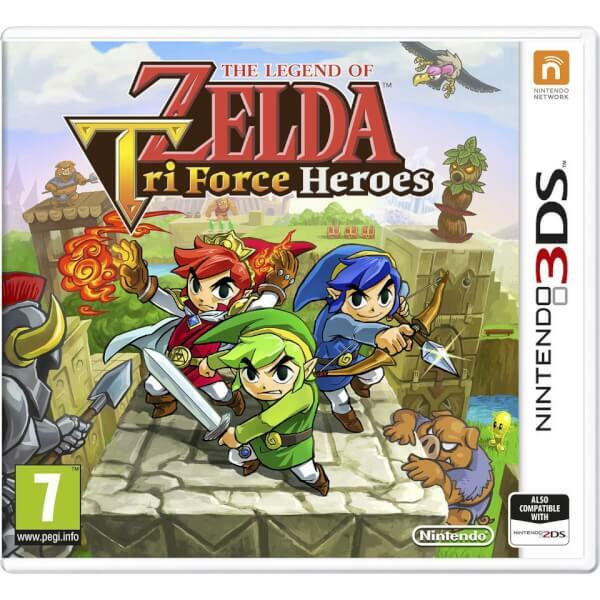 Work together to solve puzzles and beat dungeons in The Legend of Zelda: Tri Force Heroes, coming in October 2015 to Nintendo 3DS. 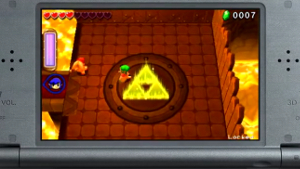 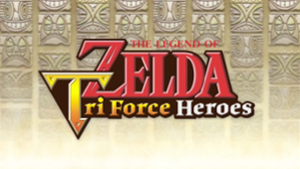 Check out how 3-player co-op works in The Legend of Zelda: Tri Force Heroes on Nintendo 3DS. 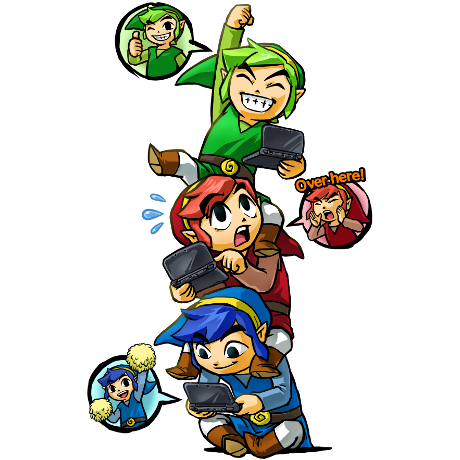 Fans at Hyper Japan 2015 team up to take on The Legend of Zelda: Tri Force Heroes on Nintendo 3DS and tell us all about it.